In the world of MMOs I often hear about people buying things “to support the game”. It might be a Collector’s Edition of an expansion, it might be cosmetic or fun items, or it might even be a subscription. What I find interesting about Buy-to-Support (B2S) is that it’s very seldom that I hear such sentiments about any other kind of product. I’ve seen The Guardian newspaper asking people to subscribe in order to support it, but I’ve yet to hear people ever discussing how they pay a sub to newspapers or magazines for that reason. Seldom doesn’t mean never though, and there are other examples where B2S comes up, though not with anything like the frequency I hear about it around MMOs. is not something I can take for granted. So while I know I can generally get books cheaper on Amazon and the like, and for that matter would often be fine with a much cheaper Kindle Edition anyway, I do from time to time buy a physical book in a physical bookshop. I assume it’s not a revelation to anyone nowadays that out behavior is generally not as rational as we’d like to think, and the reasons we give for our actions are oftentimes just rationalizations of our fairly primitive urges. Marketers know this too, better than us poor saps that don’t have to think about these things for a living. Walk down the aisles of a mainstream supermarket, and take a look at how the own-brand “basic” products are packaged. Most of the time everything about them is designed to make you feel “This is the poor man’s version.” It’s actually designed to put most people off from buying it. No one wants to feel cheap, and no one wants to appear cheap or poor to others. Plenty of people go for the “middle option” in their purchases just on that basis, and sometimes the most expensive option is created mainly for the purpose of making the middle option look attractive by comparison. Conversely plenty of people want to feel special, or to buy stuff that is some kind of a status symbol and impresses others. All in all, I suspect that when people say they’re buying something to support a game, that is only a small part of what drove their decision. If you're a fan of LOTRO and just want to support SSG with your money, the best thing you can do is buy LOTRO points and never spend them. Any way in which you give money to a company is of course likely to help keep that company going. However where the money really ends up and what difference it makes can be rather hard to tell. If the company was in no danger of folding, the extra money may simply end up as more profits for its owners. Perhaps it would be good to think about exactly what signal you want to send to the company. Whatever you buy is among other things a message to the company: “More like this please.” So buying store currency and spending it on precisely the things you most care about seems like a good idea. If you have cash enough to spare, it might be most effective to buy codes and give them away, ideally to those who couldn’t afford to buy for themselves. 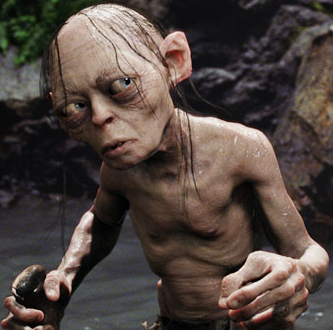 I don’t think our inner Gollums would be thrilled with this though! Mordor… we’re finally about to get there. It’ll be a momentous occasion in the life of LOTRO, and something which at various times many of us doubted would ever happen. Not only was it a question of worrying if the game would last long enough to reach the Black Land, some of us wondered if we personally would make it to the end. I myself am very much looking forward to seeing the conclusion of Tolkien’s story in the world of the game. Like with Frodo’s journey to Mount Doom and the downfall of Sauron, the rejoicing will be all the greater for the difficulties endured on the way. and the periods of despair lived through when the quest seemed utterly hopeless. 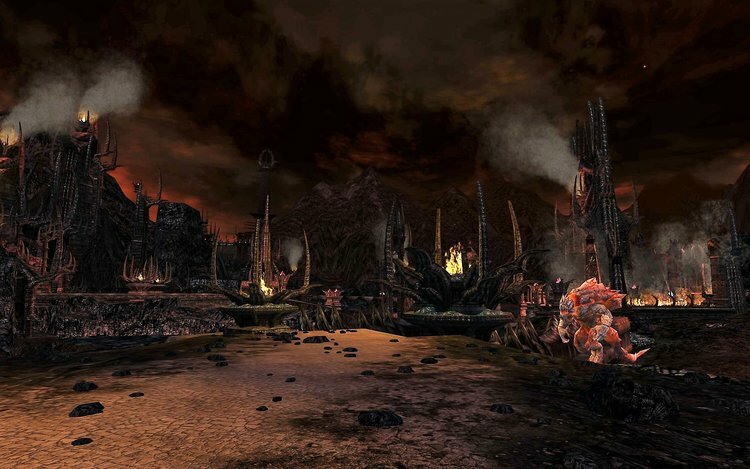 No wonder then that the announcement of the Mordor expansion led to a festive mood breaking out in the LOTRO community. 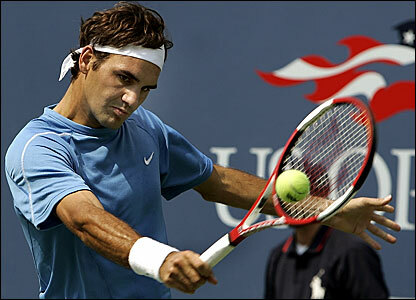 However, recently matters have gotten a little more complicated. Just like in 2012 and 2013, it looks like the player base will spend the last weeks before the release of a major expansion discussing its outrageous pricing rather than eagerly anticipating cool new content. If you have not yet done so, please do read Rav’s excellent analysis of the Mordor pricing, and how it compares to previous LOTRO expansions and to the pricing in other MMOs. She has a useful comparison table showing the pricing for all editions of the most recent LOTRO expansions. If anything that might even be understating how high the Mordor prices are, since if I recall correctly previous expansions included a 1,000 or more Turbine Points in the bundle, which I count as worth $10 in value. Suffice it to so say that many are feeling that the pricing is greedy, and the feelgood factor that’s been prevalent in the LOTRO community this year is in danger of being undermined. Personally I’m not sure if “greed” is the best interpretation, it might just be economic reality. MMO development probably costs pretty much the same whether the game has half a million regular players, or five million. So smaller games are always likely to have to charge more and yet provide less in return for it. However I very much agree with Rav that if this is the case SSG would benefit from being a lot more open about the situation. They had built up a lot of goodwill from the community and there are lots of dedicated Tolkien fans in the playerbase. Simply asking for people who can afford it to help support the game by subbing or buying the collectors edition would probably work better than pretending it’s great value. Speaking for myself, at this point I’m not sure which edition I will buy, or if I will even buy Mordor at all now. SSG has picked an interesting moment to up the ante with their pricing. Maybe they’re thinking that this is the big climax, and people will be willing to pay whatever it takes. My thinking is a bit different. I’m assuming that I will be able to see out the end of the Tolkien storyline without even buying the Mordor expansion. It’s the Epic Quest line, which will presumably still be free-to-play, and will most likely be over and done without us even setting foot inside Mordor. Whether I stick around in LOTRO after that was always an open question for me. 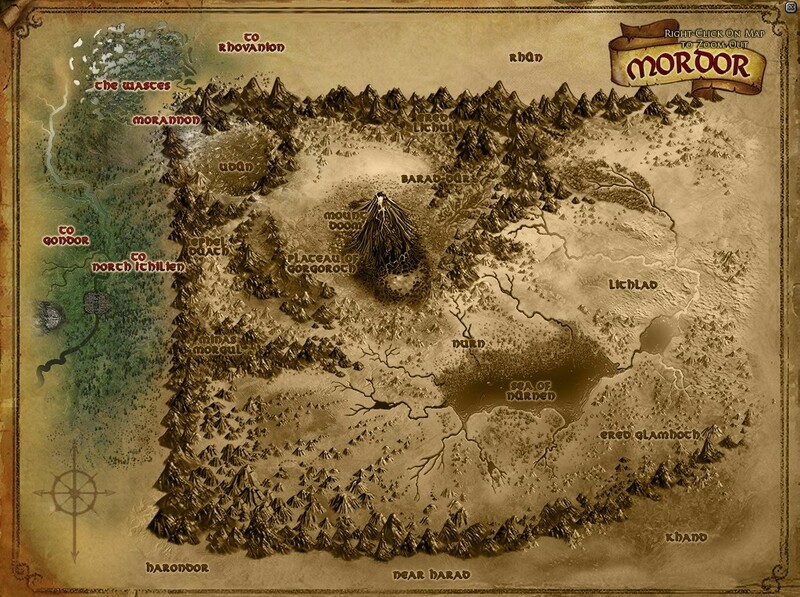 Mordor itself is likely to very gloomy, not only in story and atmosphere but literally, in actual light levels. 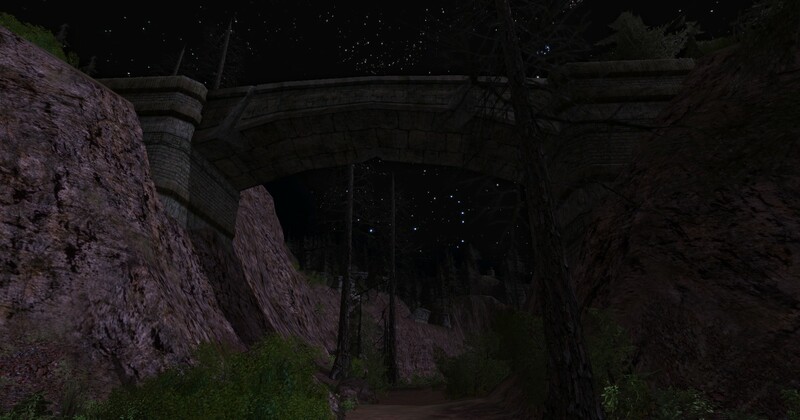 Previous experiences in Angmar and Moria tell me that I’m likely to tire of that pretty quickly. 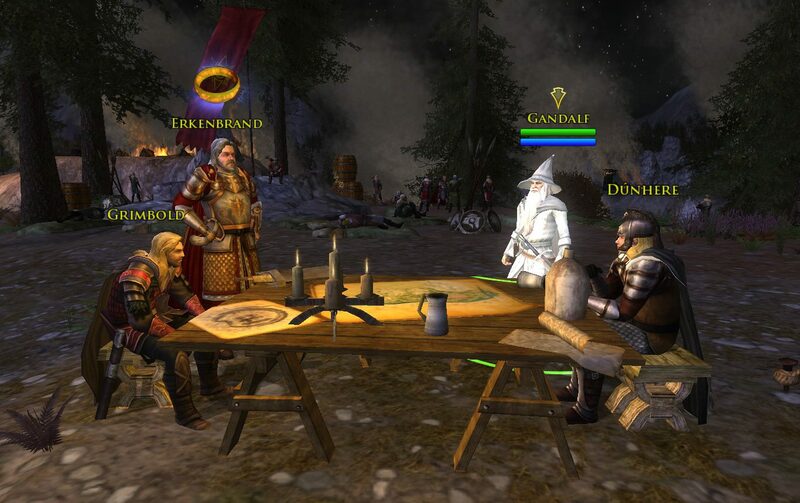 As it happens, I have already been skipping the grindy parts of LOTRO in recent regions by just doing the Epic Quests, and often doing them overlevel and overpowered as well. That way I get to enjoy the world and the story, while avoiding too much tedious grind. What SSG needed to do with someone like me at this tricky point was to make it a no-brainer to carry on playing the game, and stroll on into Mordor without a second thought. Instead Mordor pricing has given me pause, and made me think “Maybe I’ll just wait for a sale”. And that might well turn into me taking a long break from LOTRO, and then never getting around to buying it and playing it at all. But perhaps it’s only fitting for us to be approaching Mordor with hesitation and forebodings! 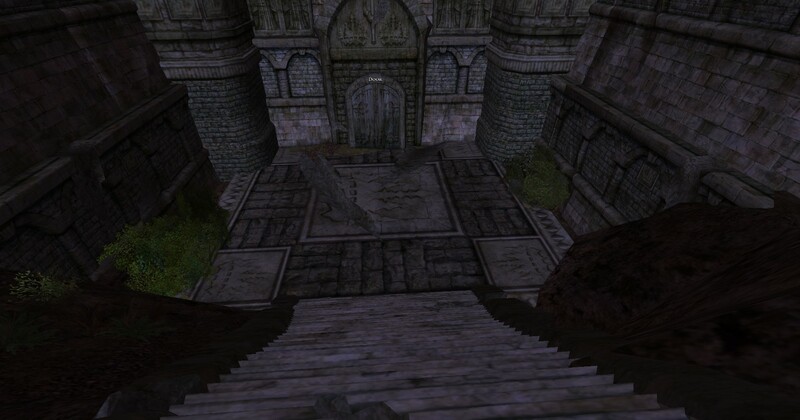 LOTRO has many maze-like places, which some people love and some people hate. Luckily members of the community have made maps for a lot of them, for example the fantastic ones at The Brasse. Such maps have saved me a lot of grief over the years, and I’d like to say a big thank you to all those that took the trouble to make them! Recently I realized that I had never found the entrance to the Lost Temple in the Trollshaws. You need to find it before you can do the Lost Temple instance, and probably the reason I never did so is that the instance was only created some time after my main went through the Trollshaws, and I never got around to looking for it afterwards. 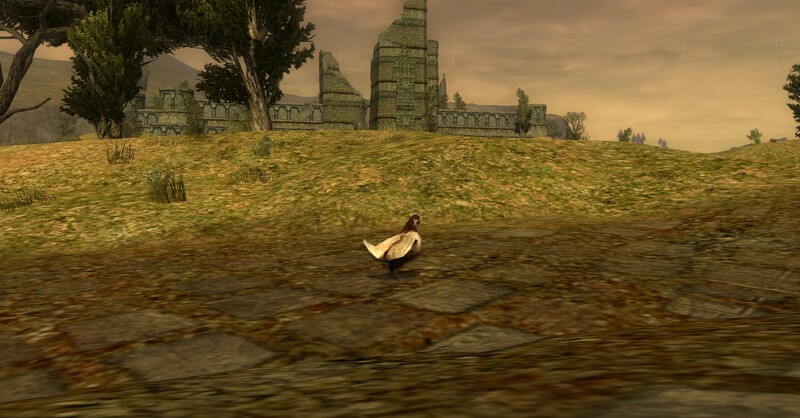 Now the Trollshaws is one of the most infuriating places to travel around in LOTRO. Unsurprisingly my efforts to find the Lost Temple only resulted in me being the one getting lost, and going around in annoying circles. This time round I wasn’t able to find any helpful maps or useful instructions, so when I did eventually find it, I thought I’d “give back” to the community with my own small contribution. I’m afraid it’s not the prettiest map ever, and next to the brilliant work at The Brasse it looks positively childish. Still it should be enough to save you some hassle, should you ever need to find the Lost Temple, or some of the other nearby sites around Nan Tornaeth. Since the map is a crude effort, I will back it up with some words of explanation. I assume you will start at the Stable Master / Camp Fire for Nan Tornaeth. It’s marked on the map, and you can get a swift travel horse from Thorenhad. On the western side of this campsite you’ll see a path. In one direction it goes roughly north. Take this path northwards to the end. At the top there are two routes, one to the left (i.e. west) and one to the right (i.e east). The western path goes to the North Trollshaws, but we want to take the eastern path. A short way down the path, there is another fork in the road. One fork is off to the left and heads downhill. This goes to the Glamil Falls. We want to take the right-side fork which goes uphill. This path swings round southwards and then westwards, and takes you up to Amon Varadh. 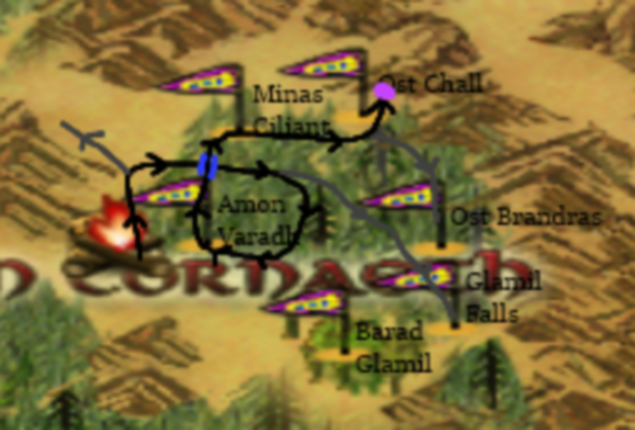 In Amon Varadh, continue on the main path, it now circles northwards. Just outside Amon Varadh you come the bridge we saw earlier from below. Cross the bridge. Follow the path round, it circles around a bit west, a bit north, a bit east, and then you come to Minas Ciliant. Go through Minas Ciliant, and just after you come out, there is a stone path heading northeast, and going into Ost Chall. I recently finished watching Heroes Reborn, and afterwards read a few reviews and articles on it. They seemed undeservedly harsh, so I thought I’d write up a few of my own thoughts on the show. Here’s a short spoiler-free review for anyone who’s not seen the show yet, and is wondering if it’s for them or not. Heroes Reborn is set in the Heroes universe a few years after the end of the last series of Heroes. However the only character who is as prominent in Reborn as in the original is Noah Bennett. Some other well-loved characters from the original series do also feature in Reborn, but they have significant screen-time for only a few episodes at most, and some only have small cameos. I won’t tell you who appears, as seeing some of my old favorites turning up unexpectedly was one of the most delightful things about the show. I found Heroes Reborn a little hard to get into at the beginning, though that could just be me, as I have often had the same problem with other shows. There are a lot of characters to take in, and it wasn’t that easy to remember who people were, to figure out why they were doing what they were doing, understand who was working with whom etc etc. To be honest, between being confused about what was going on and being disappointed by the lack of familiar characters, I nearly gave up on the show early on. But I persisted with it, and I’m glad I did. After a while things came together, the main plotline kicked in, and the show started to make sense. Also we started seeing some of the old faces, and so I was reassured that this was not going to be an all-new cast and story, completely disconnected from what had gone before. The series reached its peak in mid-season, especially the two-parter called “June the 13th”. The plot developments were superb, and some of the strongest I can remember in any sci-fi show. A whole series of those “Oh wow! Of course!” moments when a lot of mystifying threads suddenly make total, surprising sense. And with plenty of emotional punch too. The latter part of the series was a bit more routine, but no worse than any other “save the world from disaster” climaxes that are so common in shows like The Flash. Overall, I’d say Heroes Reborn is one of the best seasons of Heroes, and certainly on a par with many well-liked contemporary shows. 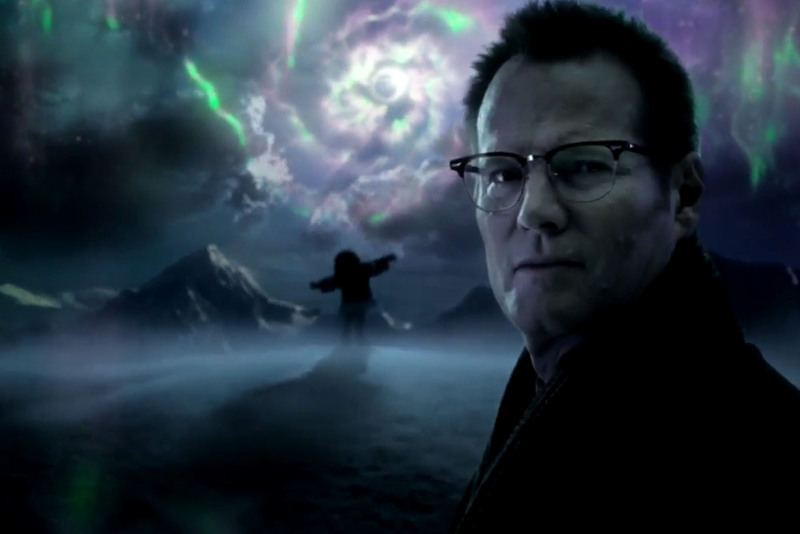 If you loved Heroes Season 1, you’ll probably get a kick out of Heroes Reborn. You might need a bit of patience with the early parts though. The year is nearly over, so it’s time for a brief look back. The Walking Dead – prior to 2015, I hadn’t seen a single episode, now I’ve seen them all, and it’s probably one of my all-time favorite TV shows. I thought I wouldn’t be into it because zombies == horror, and horror has never really been my thing. Instead it turned out to be one of the best post-apocalyptic stories, a genre that I love. Especially love the way it explores how people retain – or lose – their humanity in an extreme survival situation. Downton Abbey – another that I hadn’t seen at all before, and assumed was not going to be my kind of thing, but loved it when I gave it a try. I suppose they’re a lot like hobbits aren’t they? The era it’s set in is the same that formed Tolkien, and the overall atmosphere is not unlike The Shire. Justified – Superb crime drama, great characters, and excellent one-liners. Agents of SHIELD – the best of all the plethora of superhero-ish shows. Interesting characters, and well-thought out storyline. After some of the lame arcs and finales we’ve seen to shows like BSG, Lost etc, a show that seems to have been worked out properly from beginning to end is so refreshing! Also, a lot of fun. Elementary – Continues to be excellent. Remains surprisingly true to the flavor of the original Holmes, while also exploring things like addiction and family in a thoughtful way. Buffy and Angel – I had seen large chunks of them before, but this year I rewatched them in their entirety. Deservedly considered some of the best TV ever made, though not all the seasons live up to that billing. So much of the dialog is so fantastic they’re very enjoyable to rewatch even when you know the plots already. The Flash – I watched Season 1, and the early part of Season 2. In the end I just didn’t have time to fit this into my life! There are so many good shows nowadays that the bar for what I get around to seeing is very very high. In decades gone by this would have been one of the highlights of the week, something to look forward to when it was on. Now, regretfully it has to make way for other things. For the same reason I saw a little of Agent Carter, Arrow and Supergirl but had to drop them. Bosch – another excellent crime drama. Recommended if you like police procedurals and intelligent grown-up stories. A little like The Wire, and some of the actors from that do feature. Outlander – I saw it, but now I mostly remember the landscapes and the music rather than story or characters. The time travel element was sadly neglected in it I felt, and likewise the historical drama aspect. There were probably others, but that’s all that comes to mind at the moment. I continued to play LOTRO, but a lot less than in previous years. See Why I’m not playing LOTRO much for an explanation of why not. One thing that I did fail to mention in that post… in 2014 I sorted out some knee problems I’d been having. As a result in 2015 I was able to be a lot more physically active and outdoorsy than I had been for a while. So that’s another major reason I ended up not gaming so much – I was actually not home as much! Anyway, towards the end of the year, the server mergers did give a fresh impetus to my LOTRO playing. For one thing there was the need to decide what to do with my characters, for another the transfer process let me hook up again with kinnies that had already re-rolled onto busier servers. And it is nice to see the consolidated servers buzzing, a lot like in “the old days” when I was first in the game. At the moment there is a “Triple Bonus Points” offer on Turbine Points and that still feels very exciting. But I can’t decide whether to splash out, as I’m not sure I’ll ever need those TP again. Maybe I will. This year I played quite a lot of chess, maybe averaging 3-4 hours a week of playtime, and possibly a similar amount in reading books and such. 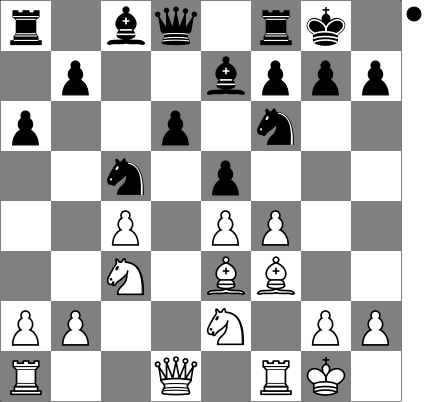 One of these days I’m finally going to get around to doing a post explaining what I like about chess and how it compares to MMOs. There’s more parallels than you might think! As usual, I’m rapidly running out of time to finish up this post before 2015 is officially over! Time to wrap up. A Happy New Year to all my online friends!